Is Buying Facebook Likes Illegal? So you’ve heard about the trend of buying Facebook likes and even know a few people who have bought some. Considering it for yourself but since you know that it’s against Facebook’s terms you were worried that you might get into trouble? Not sure what the consequences are and scared that it might be breaking the law? The truth is that buying Facebook likes isn’t against the law but it is a grey area and many people are still debating this one. That doesn’t mean it can’t get you into trouble as it is against their terms. There are many websites online that openly offer the sale of Facebook likes. However there has yet to be a documented case of legal action taken by Facebook. The only well documented case where someone has been taken to court for selling Facebook likes is the case of Mr. Rotem Guez who legally changed his name to Mark Zuckerberg. Therefore creating a media storm that somehow benefited his case and resulting in out of court negotiations. Mr. Rotem Guez was actually selling Facebook likes on Facebook through his business page the ‘Like Store’. After hearing about this Facebook promptly shut down his profile and it was Mr. Rotem Guez who took Facebook to court to begin with. Citing that it was unfair that Facebook chose his page to shut down, as there are many more similar stores selling Facebook likes. That was when Facebook slapped him with a counter lawsuit for selling likes. This is the only well documented case of legal action being taken out on the buying and selling of Facebook likes. This does not mean that there are no consequences. Many sites do get contacted by Facebook lawyers usually with a cease and decease letter. Facebook lawyers claiming that they may be scraping information when selling Facebook likes. However as many of these sites are purely middleman they have no idea where the Facebook likes are coming from and there has yet been precedent of any legal action. Although there aren’t currently any laws against selling or buying Facebook likes it is still a grey area. So you’ve already purchased some Facebook likes and worried that Facebook lawyers might contact you? Chances are slim as they mostly contact the sellers to make an example of the industry that is violating their terms and conditions. However there are still many things Facebook can and may do to teach people who buy Facebook likes a lesson. Restricting your account is the first most likely thing that can happen. Once they reprimand you and ask you not to buy Facebook likes again and you agreed they would most likely let you off the hook. Delete the bought Facebook likes from your account. This can happen purely because the likes that have been bought are from inactive accounts more so than the fact that they can detect that they have been purchased. Deleting your profile and banning you from using Facebook is probably the most serious of consequences. As for most people Facebook is their primary form of communication in this day and age. Buying Facebook likes is a grey area and rules can change. 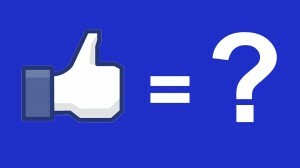 You don’t want to be caught up in the mess when Facebook decides on taking harsher measures for buying Facebook likes. Think twice before you buy. Reconsider the need to purchase any form of social medias signals as they all apply similar rules. Buying Instagram followers will also put you in the same situation as buying Facebook likes as it is the same company.